Being lazy can save you time and money? Yes, really! We know that when it comes to parking at the airport, most people pre-book their parking, want it to be cost-effective, are concerned about the location of the car park, and that most people pick Long Stay parking as their parking option of choice. Long stay parking may seem the savvy choice – you’re going away for more than a few days and you’re willing to put up with a transfer to the airport. In most cases, the Official Long Stay car park may be more reasonable than Short Stay parking or Meet and Greet and therefore it all makes sense… or so you think! Is Meet and Greet parking always a more expensive option? Analysis based upon pre-booking Airport parking for the first week of May 2015. Lowest priced Meet and Greet service is compared based upon car parks with Park Mark accreditation. Long Stay Vs. Meet and Greet. Who’s cheaper? This shows that depending on the airport you could be saving around £7 for a week’s parking. This doesn’t seem a particularly huge saving, but when you think that you are saving a few quid and being met right at the airport, not having to wait around for long bus transfers (that can be up to 20 minutes) and battle with luggage and the family… we think that’s a pretty good tip to know! No worries! When doing this research, we only chose the lowest priced Meet and Greet that was Park Mark accredited, although most are safe and secure. Park Mark accreditation means that the car park has been vetted by the Police and found to meet their minimum list of criteria. This means that they adhere to a high quality of management, they have sufficient lighting, the car park is under surveillance, and it is a clean environment. Good Meet and Greet car parks have fully insured drivers, so you can be assured that when you leave your car with them at the terminal forecourt, it is in safe hands whilst it is being driven to the car park and whilst it is there. 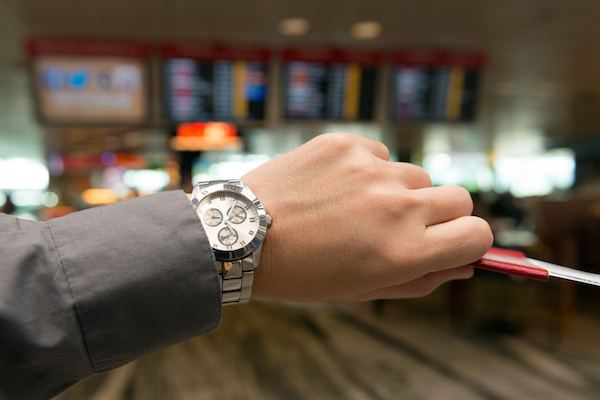 There is no hanging around waiting for transfers, so you can be at the airport in minimum time. Even if, as in some cases, it may not be the cheapest option, it is often only marginally more expensive. According to our research, at some airports it was only between £1 and £5 more for a week! For the price of a drink at the airport, you can have a truly convenient parking experience and in some cases, your saving could pay for that drink and a sandwich too! At Airport Parking Shop, before you decide on your parking, you can check out reviews from previous customers. If you have any doubts about using a Meet and Greet service, look for the Park Mark logo, and read the reviews. Some of the lower priced Meet and Greet providers have a 4.6 star rating, which beats the rating of the official long stay car park. There you have it – who knew that Meet and Greet could save you both time and money!